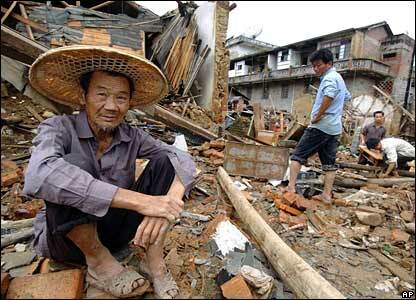 At least 150 people have died in China as a result of tropical storm Bilis, which struck the south of the country over the weekend. 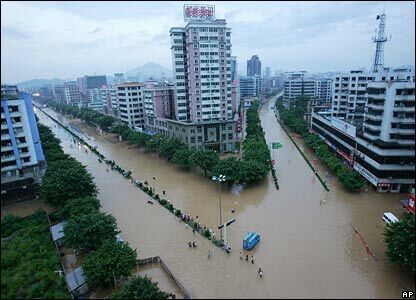 The storm brought torrential rain which led to landslides and widespread flooding in the provinces of Hunan, Guangdong and Fujian. 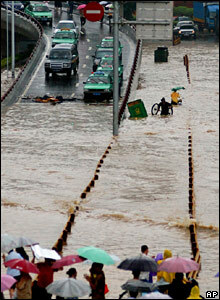 Rescuers have been working to reach residents stranded by high flood waters. 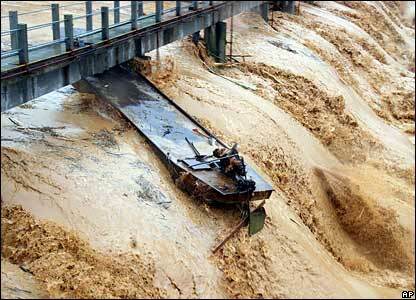 Thousands of houses have been swept away and many people have been forced to flee their homes. Communications and infrastructure have been affected. 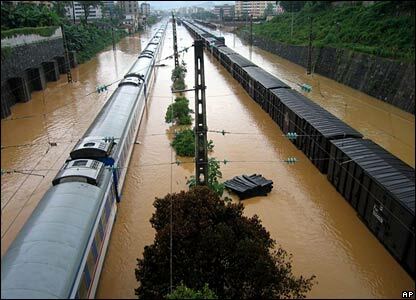 In Guangdong, flooding cut the Beijing-Guangzhou railway line, stranding thousands of passengers. 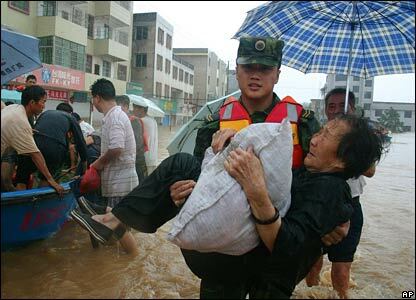 Mudslides have been reported and forecasters fear that more bad weather is on the way, with several days of heavy rain predicted in southern China.